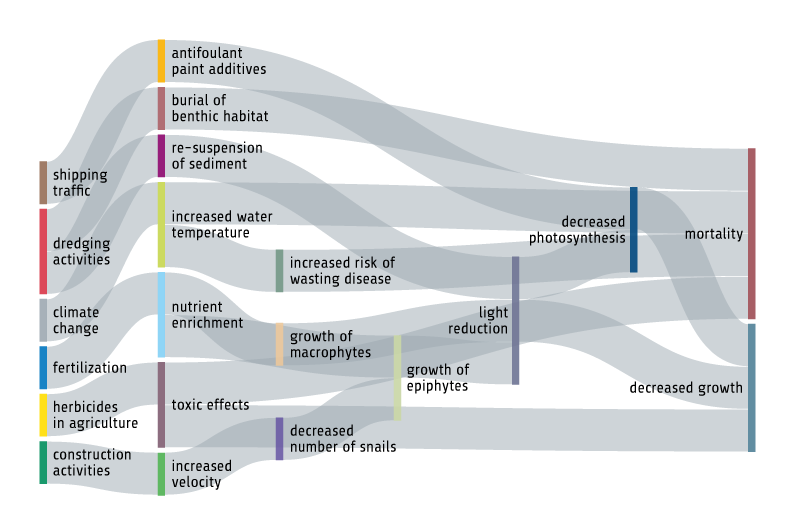 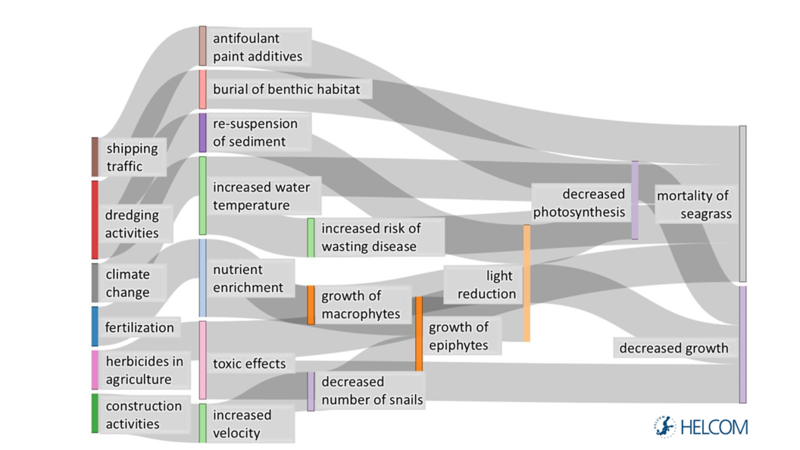 Nutrient inputs from land have decreased clearly, but effects are not yet reflected in the status of all sub-basins. 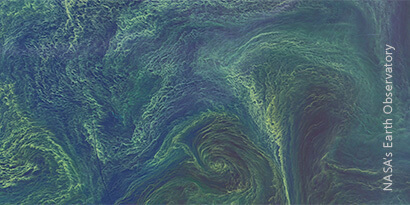 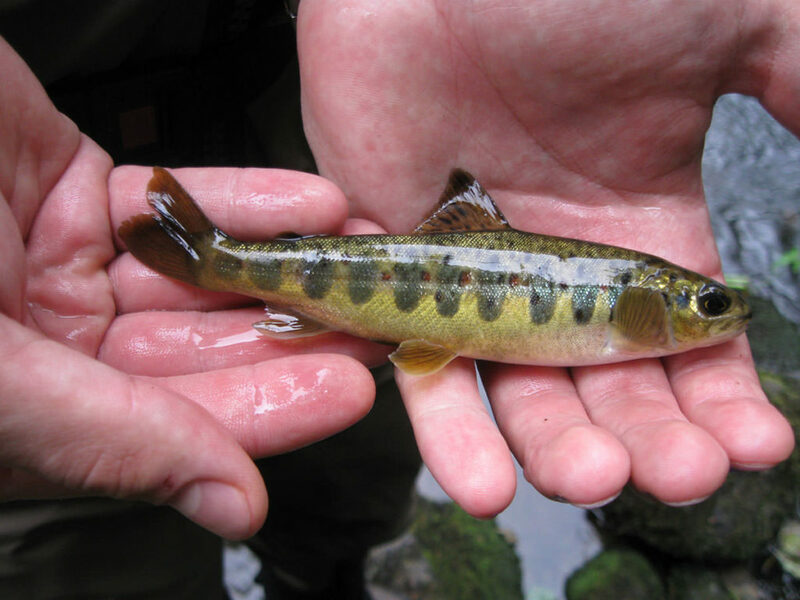 The contamination status is elevated in all of the Baltic Sea, but some improving trends are seen. 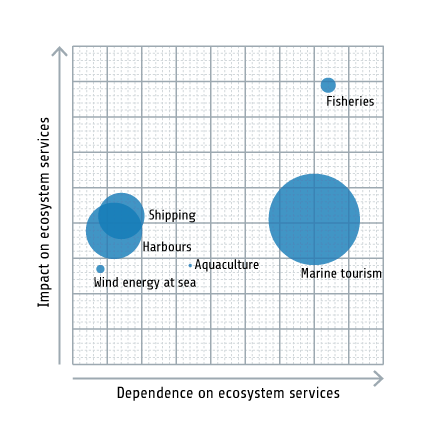 Biodiversity status is inadequate for most assessed species, and continued efforts to support biodiversity are of key importance. 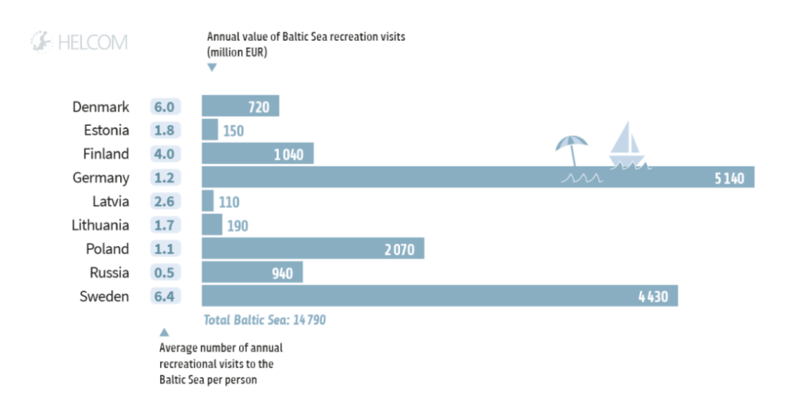 Human activities contribute to society, to our well-being and economies; but they are also the main sources of pressures on the Baltic Sea environment. 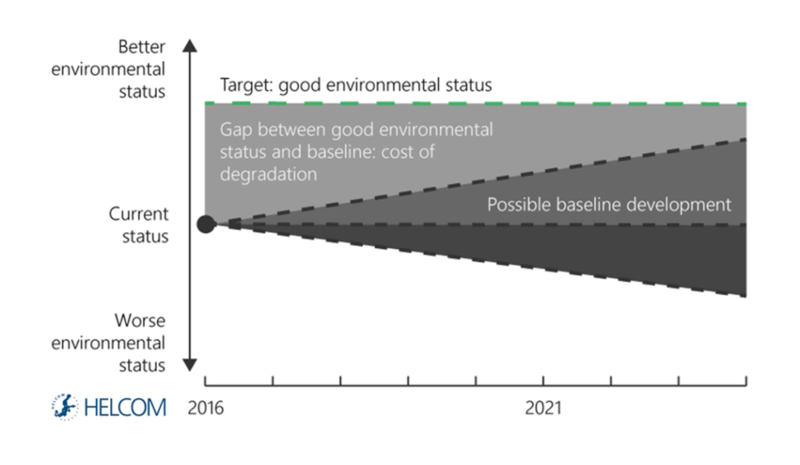 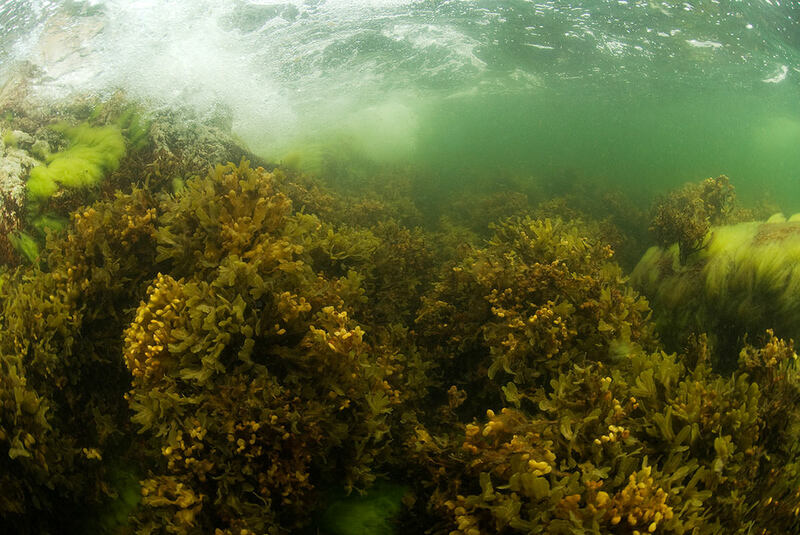 Pressures both from land and sea act on the Baltic Sea environment. 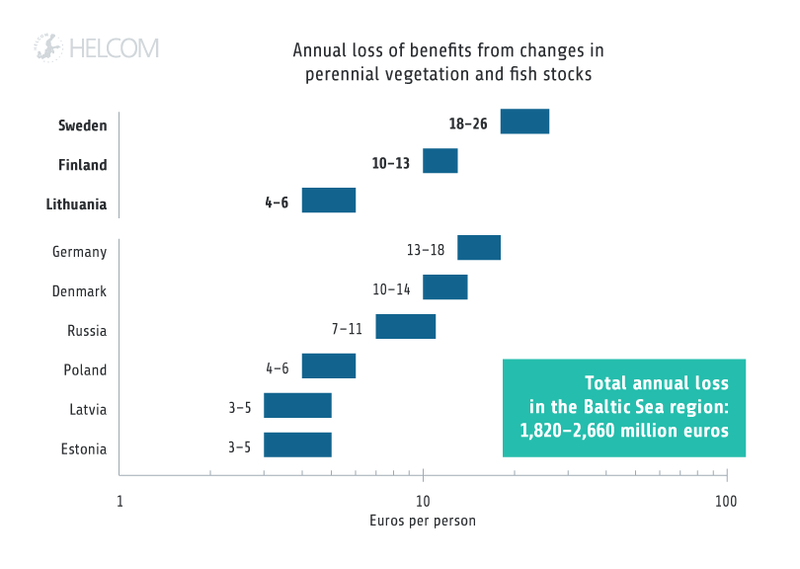 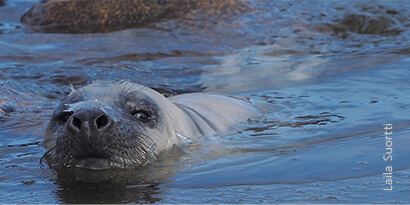 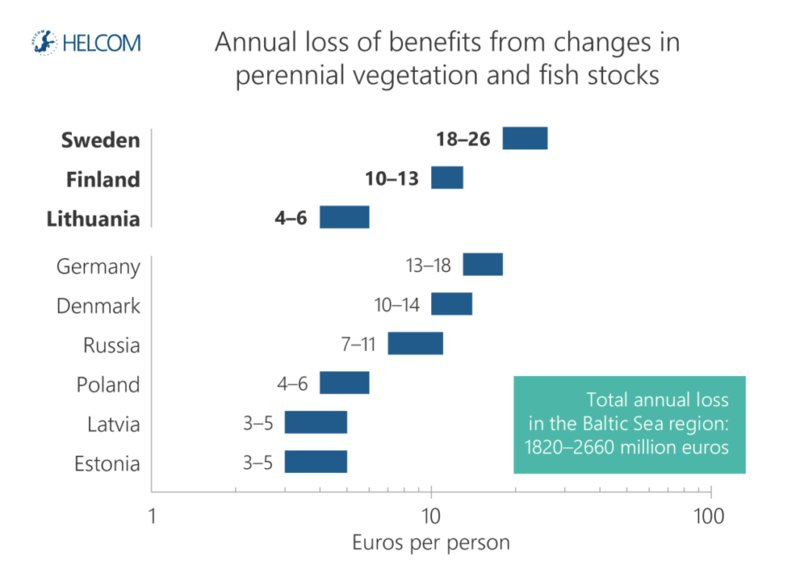 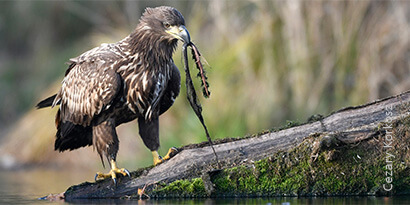 Marine mammals, birds, fish and habitats show unfavourable status in most of the Baltic Sea. 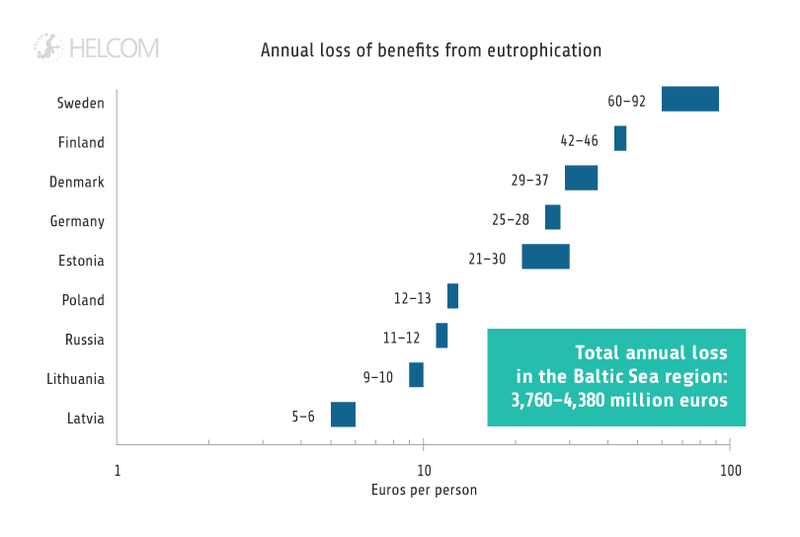 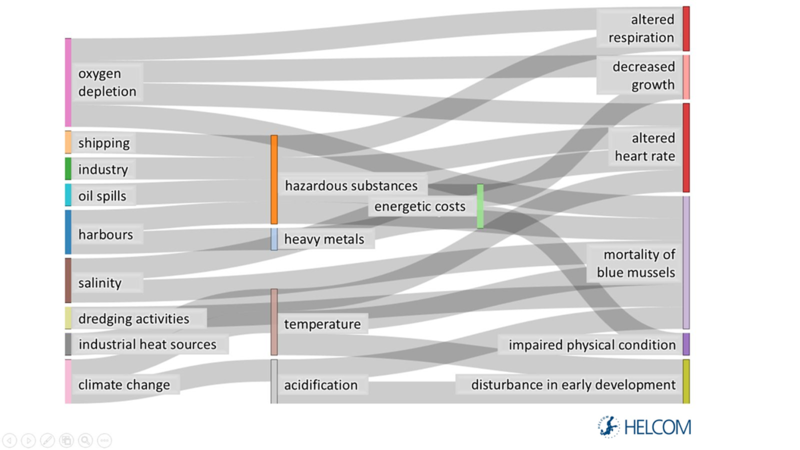 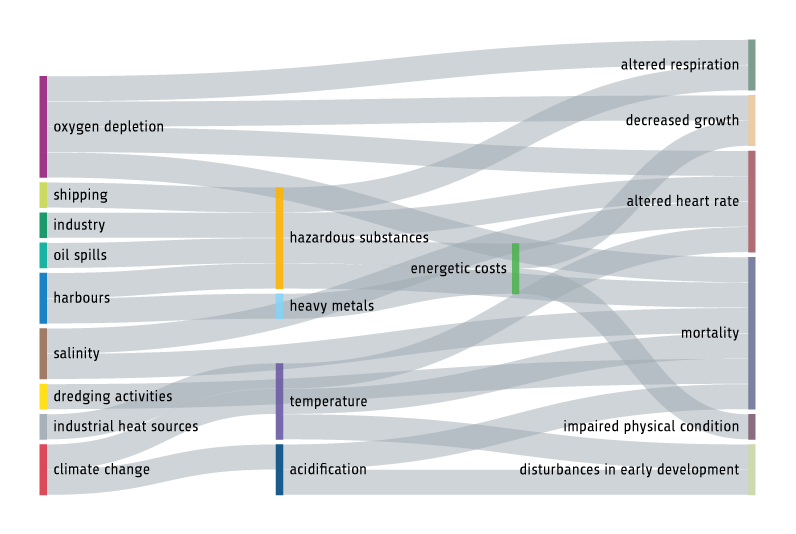 The Baltic Sea Impact Index estimates the cumulative burden on the environment of all pressures from human activities, and displays it on a spatial map. 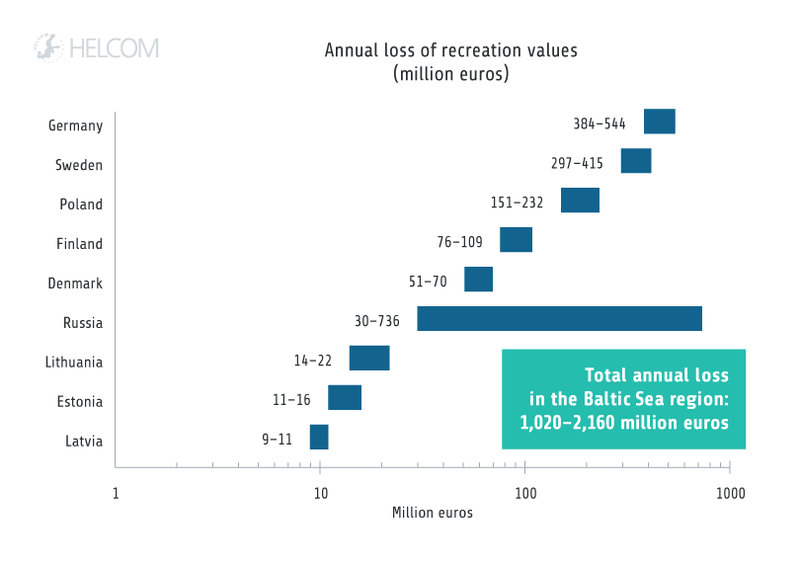 Measures to improve the Baltic Sea environment are undertaken by actors at many levels; regional, national, county and local levels, as well as by initiatives in the private sector. 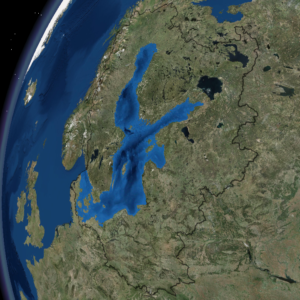 The Baltic Sea is a brackish sea with a unique geological history, which also makes its environment ecologically unique. 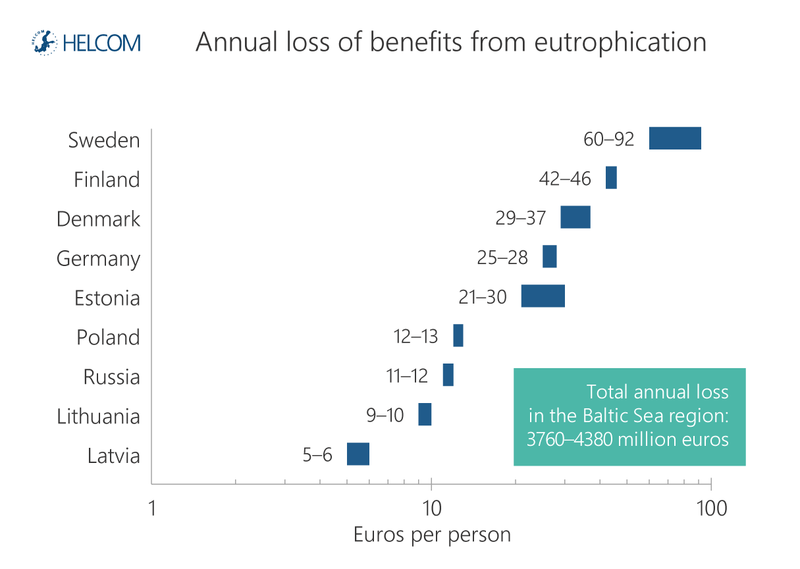 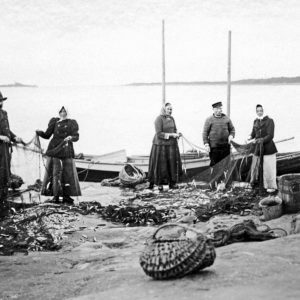 The Baltic Sea is a resource for its plants and animals, but also for human welfare, which is connected to the status of the sea. 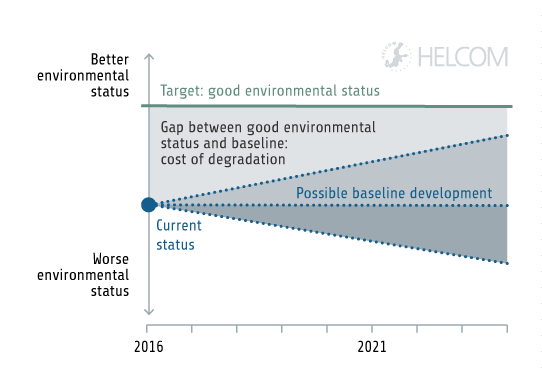 What is the holistic assessment? 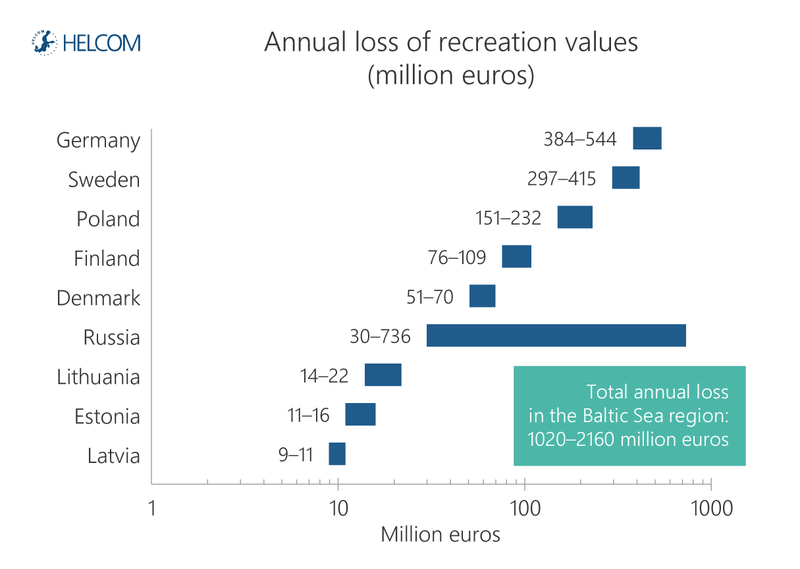 This assessment, coordinated by HELCOM, captures a “moment” in the dynamic life history of the Baltic, focusing on the years 2011–2016.